What we know is Missouri offered Nazreon Reid, the 6’10”, 250-pound, five-star center out of Ashbury Park, New Jersey’s Roselle Catholic High a scholarship. 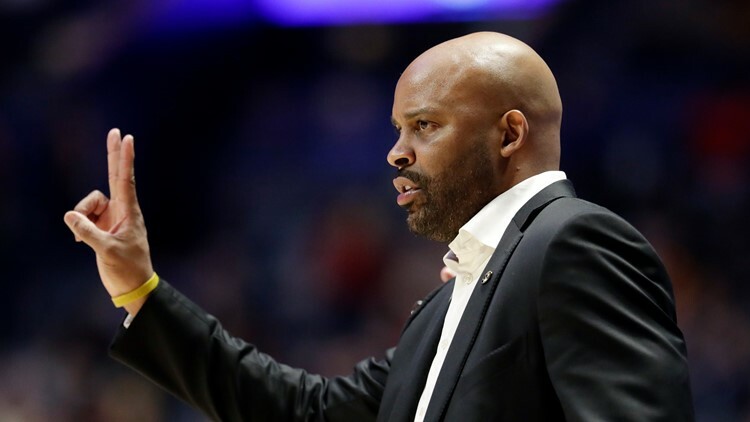 What we don’t know is how close Cuonzo Martin and his coaching staff came to signing such a program-changing talent from the East Coast. Reid would go on to ink his letter of intent with LSU, helping those Tigers based in Baton Rouge to a first-place finish atop the SEC, a number 3 seed in the NCAA Tournament and a 28-7 overall record in what’s sure to be his lone season playing in the Southeastern Conference. Transcendent talent the likes of which Reid possesses can be THE difference between winning and losing. Had Martin been able to lure Reid to Columbia, his presence most certainly would have eased the loss of Jontay Porter, allowed Jeremiah Tilmon to develop at a more deliberate clip and helped Missouri position itself for consecutive invitations to March Madness. Alas, one was left only to ponder the possibilities while watching the impact of his exploits on the basketball court. What a player! Some NBA franchise will reap the benefits of selecting him in the upcoming NBA Draft. Martin and staff will have ample opportunities to establish their prowess as recruiters locally with a 2020 class that, if successful in landing a trio of current juniors whose stock is skyrocketing, will give Cuonzo and Mizzou a chance to get really good, really fast. They’ve already landed Vashon combo guard Mario McKinney and power forward Tray Jackson of Sunrise Christian Academy, both of whom will log major play time if not start (Jackson) as incoming freshmen. Six-foot nine forward Parker Braun will be counted upon to contribute as a member of the frontcourt rotation as well after red-shirting this past season. But, it’s the additions of top-40 player/ point guard Caleb Love (CBC), 6’4” shooting guard Luke Kasubke (Chaminade) and 6’7” small forward/shooting guard Cam’Ron Fletcher (Vashon) that could catapult the Tiger program back to respectability and give them a much-welcomed infusion of credibility. The 6’3” Love would add to a well-stocked contingent of exceptional guards. His ultra quickness combined with those of his backcourt mates would allow Martin to play man-to-man defense and thereby allow them to convert potential turnovers into easy fast break points. Kasubke is an assassin beyond the arc, a spot-up shooter who may remind many of Virginia’s Kyle Guy, named the NCAA Tournament’s Most Outstanding Player. Opposing teams must always be aware of where he is as soon as he sets foot onto the floor. Fletcher also ranked among the top forty in his class and McKinney’s former teammate who helped the Wolverines win yet another state title, offers a shot-blocking presence, an offensive and defensive rebounder’s instincts, owns a lethal mid-range assortment of jumpers and can finish a run-out with authority at the rim. Maybe there’s another Naz Reid out there flying under the radar. Maybe there’s another graduate transfer or two still available like Duquesne’s Eric Williams, Jr., who could step right in and pay immediate dividends like Kassius Robertson did when he decided to become a Tiger. Maybe the trio of local 2020 high school stars will be persuaded, even convince one another, to play together in the SEC. Love, Kasubke and Fletcher each have a ton of suitors, including an assortment of those considered blue blood basketball schools. Their individual lists are growing and will continue to do so well into the summer’s slate of AAU games. But together, they’d offer Martin, his coaches and the Missouri Tigers the chance to get really good, really fast!